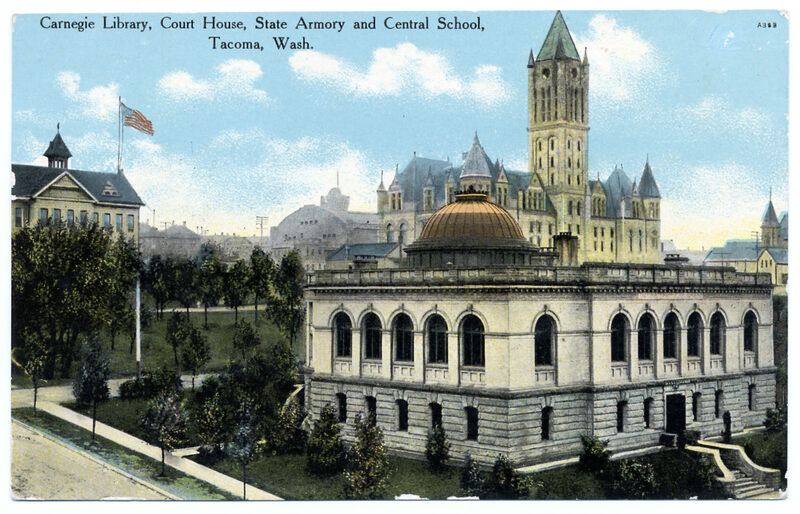 1949, frost damage was common over many miles of Tacoma streets surfaced with oil mat. Some sections were impassable and barricaded. A survey of winter damage had been ordered by Public Works Commissioner Jack Roberts preliminary to a request for an emergency appropriation to restore streets. 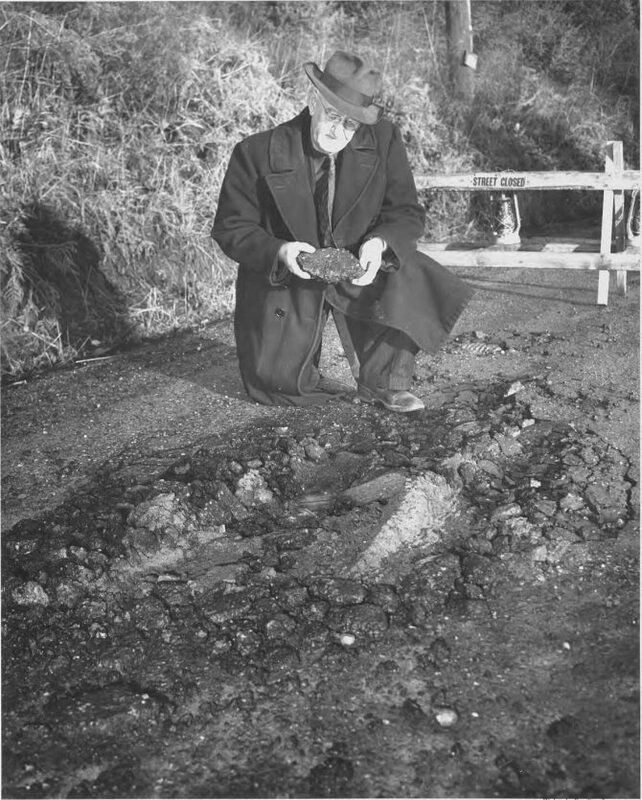 An unidentified man is holding a piece of the oil mat surface that had crumbled during winter frosts. Later in February Commissioner Roberts introduced emergency appropriation to provide $100,000 for the Public Works department to repair the winter-damaged city streets. More money was certain to be requested later. Work, however, could not begin until the frost was out of the ground and water drained off the road beds. The City had placed more than 700 road blocks at various intersections. Drivers were advised to use paved streets instead of the oil mat, gravel or dirt roads.